Mrs Hughes teaches Monday, Tuesday and Wednesday morning. Mrs Dunning teaches Wednesday afternoon, Thursday and Friday. Please click on the links below to see what we have been learning about. Professor Brian Cox and the BBC were in our school filming us carrying out a scientific investigation. It was an amazing day! 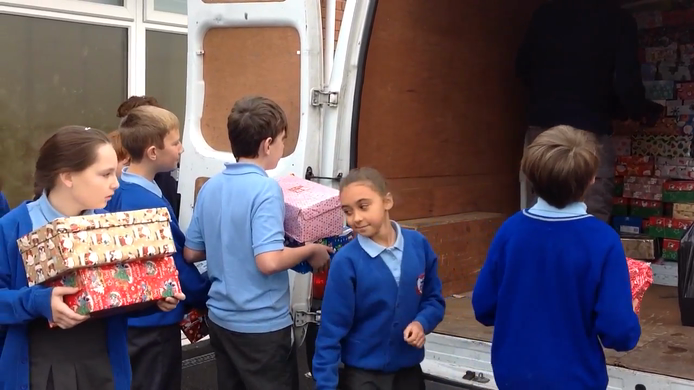 St Gregory's children managed to bring in 100 boxes for Operation Christmas Child ! Professor Brian Cox was in our class!!! Read all about the day on the 'Educate' website. There's even an audio clip of Professor Brian Cox praising the science that he saw! Well done Ava for bringing in the first Christmas Box in Year 6 .